We will be rating these 2D and 3D puzzle platformers based on ingenuity, gameplay mechanics and the difficulty of challenges they present. In the indie game Hue, a University scientist has developed research into the perception and manipulation of colour. She has become lost in an invisible plane of existence and has left the fruits of her research, a ring, to her son Hue, in the hopes that he can complete the spectrum and bring her back. There are entries from her journal scattered about the game, that should impress a sense of learning regarding how we each perceive the world around us. Throughout the quest you must hunt down pieces of the colour spectrum to broaden the range of dimensions you can manipulate, to open up paths that would otherwise be barred to you. By shifting through the various planes, objects of the colour matching your ring become immaterial, and contrary-wise you can bring objects forth to provide platforms with which to bridge troublesome gaps. With dangers such as lasers and boulders in your way you need to time your colour choices just right, or you may end up a red stain yourself. Never Alone, or “Kisima Inŋitchuŋa,” follows the mythical adventure of Nuna in her quest to quell the torrential blizzards that threaten to destroy her home. As you progress you have the opportunity to learn more about the mythology, culture and life styles of the Iñupiaq people and get an overview of the principles they hold dear and share through the art of story-telling and scrimshaw. The weather is constantly against you, buffeting you too and fro across levels of increasing danger and confrontation. There isn’t always time to stop and ponder the problem, as enemies loom large to cause your end, such as a dark shaman, a hungry polar bear and multitudes of evil spirits. If the title doesn’t give it away, there is a constant companion by your side. 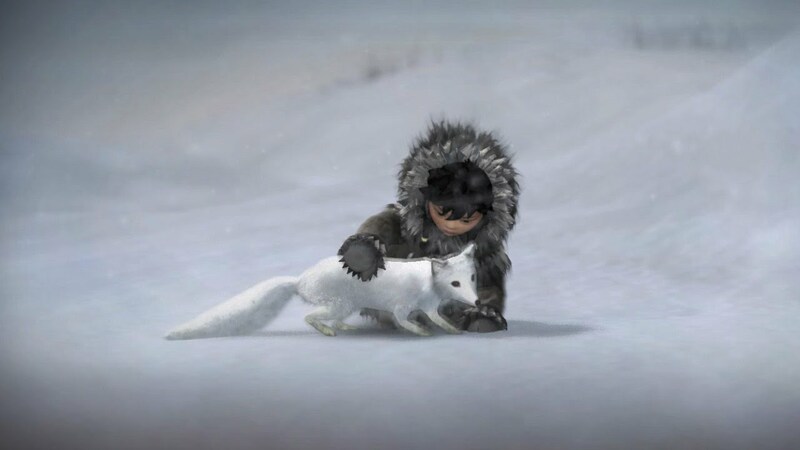 You swap control between the girl and her fox, as each of the two characters have skills that are needed to navigate the frigid wilderness. You can go a step further and you can play local couch co-op. Video games are always more fun with friends, except solitaire. I’ll put my cards where I choose, thank you very much. Stanley is a man with a menial job, being told what to do, relentlessly repeating the same tasks everyday and he loves it. A man who is completely happy and satisfied in their job. Sounds like he’s got it made. Until one day he goes to work and nobody is there to tell him what buttons to press. He explores his empty office building for answers. Then strange things start to happen. And then stranger things. He hears a narrative voice in his head, doors shift and change, and he even seems to have his own elevator music. 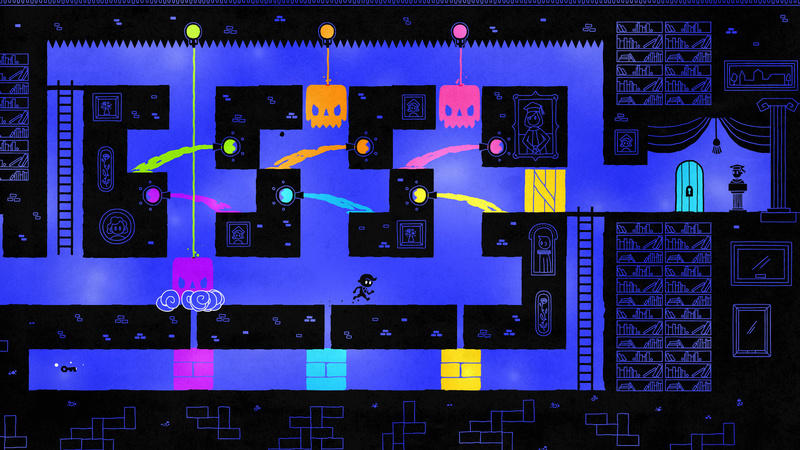 The focal mechanic of this puzzle platformer is that every choice can take you down a different path, in most cases with unpredictable consequences. With over 18 different endings this game is bound to have secrets, some of which are in disco format. Just remember, don’t do anything to anger the narrator, he has a way of getting his own back. Having to constantly restart, the real puzzle is finding a satisfactory ending. From a starting point Stanley can make decisions that take him down a number of different paths. Be warned, repetition is excessive. Welcome to Oregon, 1995. The homestead of the Greenbriar family. After a year abroad, studying in Europe, you return home to the warm, open embrace of family love. Except the family is no where to be seen, the house is locked up tight and you are stuck on the porch during a storm in the early hours of the morning. Upon entering the domicile, you are free to nose around the complex and take liberties to ransack through every nook and cranny in your families absence, invading their privacy as you see fit. I actually did a gameplay video of this awhile back and I have to say I found it intellectually and emotionally stimulating. The more you explore, the deeper insight you receive into the history of the Greenbriar’s and the events of the past year, leading up to your arrival, and an explanation to their disappearances. Ruffle through notes to find codes and combinations, search for keys to every locked door and seek answers to the important questions; Where has everyone gone? Why is nobody home? Why didn’t they save me any pizza? Dig deep enough and you may uncover the story of the previous owner, a reputed serial killer. This is a title with mystery, emotion and the various ties that bind a family together. In 1998, Heart of Darkness hit the shelves. Along with puzzles it was fraught with unseen danger, adventure, intensity, magic, and of course, it wouldn’t be a 90’s classic without a lava level. 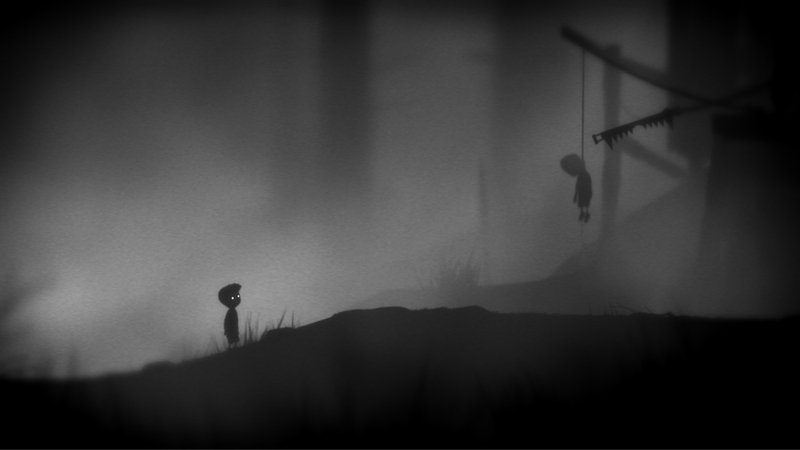 This challenging puzzle platformer has a simple objective. Traverse the dangerous land of night, overcome an army of child hungry shadows and overthrow the Lord of Darkness to rescue your dog, Whisky. Great name for a dog by the way. Ok, maybe the objective isn’t that simple. You will need imagination, good timing and the ability to distinguish normal shadows from those that want to rip you to shreds, which is pretty much all of them. The Evil Overlord is determined to catch Andy in his claws. We don’t know what he wants the child for and we figured it was better not to ask. With fun sci-fi fantasy elements, taser guns, magic meteorites and some handy amigos this game is crying for a re-master. We live in hope. Complete with creepiness and gruesome fatality. This bland shadow shaded journey is the most unsafe place for kids imaginable. As an un-named youthy protagonist you awaken in Limbo, where the souls of children dwell after death in a land of nightmares. Scrabble about the shadows in search of your lost sister. In your way are impediments such as chainsaws, open electrical outlets and lets not forget the giant spider. Your objective is to overcome the hazards in your path using forethought, ingenuity and timing. The consequences for not getting it just right are deadly. This title focuses more on gameplay than story and maintains a good balance between suspense and survival instinct, driving you ever onward from one set of fears to another. The HD remake of Abe’s Odyssey. Abe was Employee of the year, yet even that prestigious title won’t keep him loyal to Rupture Farms when they plan to butcher his people for profit. As a prophesised saviour, it’s up to Abe to topple this meat mad conglomerate and liberate the Mudokon race from slavery, save them from the fate of being grinded and made into Mudokon-Pops. The challenges are insanely fun and dangerously appealing. 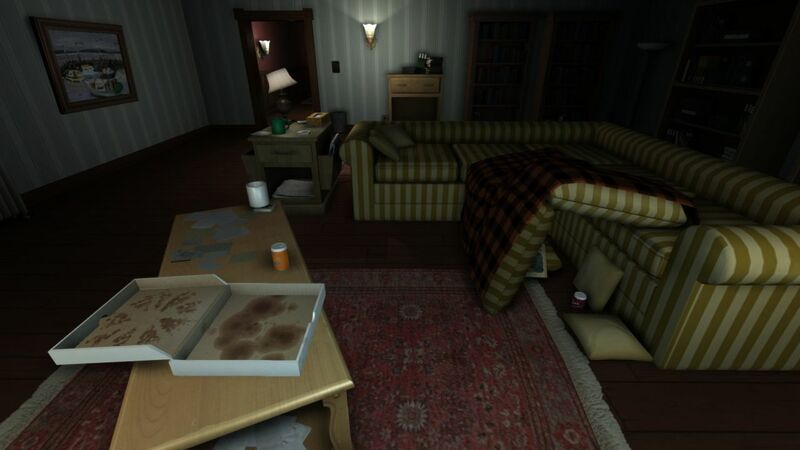 There are hidden rooms with increasing difficulty. At your disposal are grenades, farts, whistles and possession. 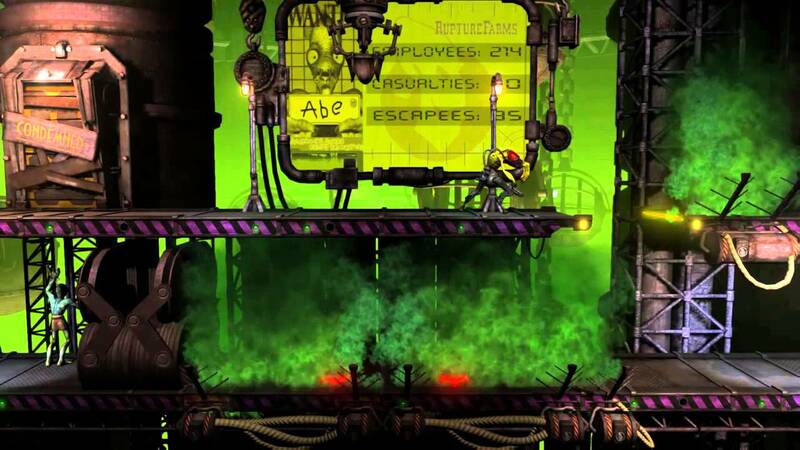 Everything in this puzzle platformer wants to either shoot you or eat you. The creatures that inhabit Oddworld may hinder you, but they each have their own characteristics that can be exploited to your benefit. We were going to feature the Playstation original, but the re-master boasts 200 extra Mudokons to rescue. That’s 300 souls to save, from being minced, grounded, pumped full of additives and distributed throughout food markets to satisfy the hunger of mindless consumers. On a completely unrelated topic is anyone else really hungry for a hamburger? A space age sci-fi puzzle platformer. As well as completing puzzles, it is imperative to solve the mystery of the events that transpired on this isolated high tech space station, and the research undertaken to examine the alien rock formations, named the Watchers. It is believed these stone bodies are sentient and hold telepathic abilities, resulting in the deterioration of the crew. What makes this mind boggler stand out is the handy gun that allows you to instantaneously clone yourself in any place you can aim at. Though you may have multiple bodies, you only have one mind. Thus all your different selves move in the same direction and jump at the same time in perfect synchronisation. You have to juggle multiple mechanics along with your extra bodies such as gravity and light limiters, dulling the effects of your swapper gun. Thinking outside the box is nothing compared to thinking outside your own body. You will find it takes over your life outside of game time as the panel puzzles draw you in completely with the complexity of their simplicity. You will spend any time not playing the game, thinking about the game. OH, I just lost the game! The game boasts over 650 puzzles to mull over. Overcoming the confusing conundrums currently hindering your progress is an exhilarating accomplishment for those with the commitment and cleverness to work it out. The locations are cell-shadingly stunning, each area harbouring their own brand of brain teasers. Puzzle solving will open more areas for exploration and exploration will lead to more puzzles. There’s a relaxing sense of solitude and peace as you ponder about. 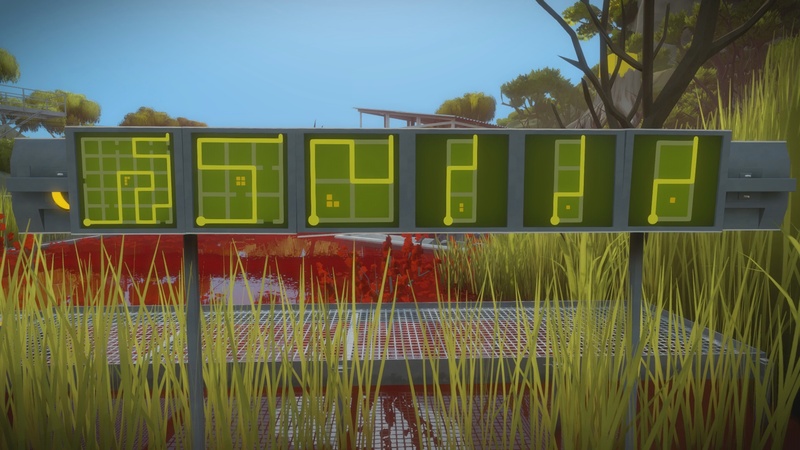 The puzzles are all comprised of panels where your objective is to circumvent the respective pattern and complete the path from point A to point B. Remember it’s not always as easy as it sounds. Completing enough will allow access to the yellow box of each region. Activate them all and you will gain access to the mountain itself, your ultimate goal and the pinnacle of puzzle solving. This game was a triumph. I’m making a note here, huge success. This entry is just astoundingly brilliant and deserves to played for the voice acting alone. As the title suggests, you are armed with a Portal gun that enables the placement of two connecting gateways that fold the dimensions of space and ignore the laws of physics as we know it. The further you progress the more challenging the test chambers become, adding and changing the mechanics, pushing you to think in new creative ways to succeed. Your mission, escape from the Aperture Science facility before the vindictive artificial intelligence in control of the place manages to kill you. GLADOS is all kinds of fun. Aiding your escape is Wheatley, a node responsible for your safety and wellbeing. He is helpful, friendly and slightly moronic. Remember, the cake is a lie but the threat is real. Perils include but are not limited to deadly lasers, bullet turrets, pools of acid and drowning, but don’t worry. It’s all in the name of science!